NAFI grants two levels of accreditation: The NAFI Master Instructor accreditation, and the NAFI Associate Master Flight Instructor accreditation.The NAFI Master Flight Instructor program confers a national accreditation to aviation educators based on a system of advanced professional standards and peer review. It identifies the practitioners of aviation education who have reached the highest level of instructional activity, educational experience, and professional service to the flight-training community—the true masters of aviation instruction—and it publicly recognizes these “teachers of flight” to provide a professional standard to which all aviation educators can aspire. Both levels of the accreditation process focus primarily on the individual’s instructional and pilot evaluation activities, as well as his or her experience and continuing education—the foundations of what an instructor is able to pass along to his or her students. They emphasize active instruction and pilot evaluation, not simply taking courses or the tenure of an individual’s instructor certificate. 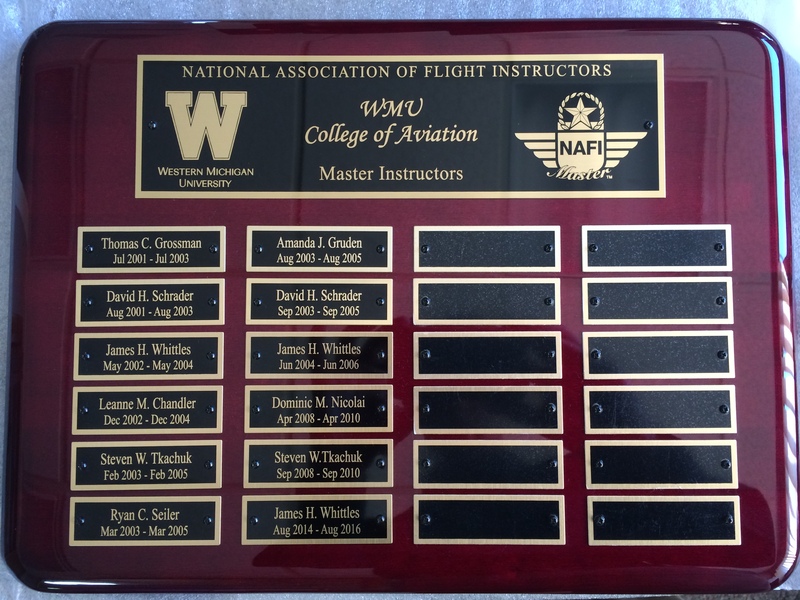 They are not honorary awards that recognize long-time service; rather, they are recognition for the individual who continues to practice aviation education at the highest level. Accreditation requires a rigorous process of on-going professional activity. Like a flight instructor certificate, NAFI Master Instructor accreditation's must be renewed every 24 months to assure a dedication to continuous professional development. NAFI Master Instructor Accreditation is eligible for FAA Wings Credit. Visit https://www.faasafety.gov/WINGS/pub/accreditedactivities/accreditedActivityViewer.aspx?aaid= 3638 to request FAA Wings Program Credit once your NAFI Master Instructor Accreditation has been completed.